The Volkswagen Group has announced it is to introduce a range of plug-in hybrid vehicles starting in 2013/14. Chairman Prof. Dr. Martin Winterkorn made the announcement at the 32nd international Vienna Motor Symposium. With companies striving to reduce CO2 emissions and improve fuel consumption the use of plug-oin hybrid technology combines the efficiency of an electric motor with the range, power and performance of an internal combustion engine. Prof. Winterkorn believes that, until pure electric vehicle technology is sufficiently advanced, plug-in hybrids are the best solution to the problems faced by car makers. “Electric mobility is the task of the century for the automotive industry and the European industrial community as a whole. 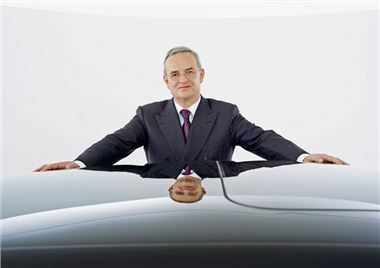 Manufacturers, suppliers, energy providers, scientists and politicians – everyone must step up to the plate here,” said the Volkswagen chairman. Winterkorn spoke in support of more targeted research funding, especially in the field of electro-chemistry for battery technology. Volkswagen also showcased two new engines at the Vienna symposium, a variant of the current 1.4 TSI that runs on E85, a fuel which isn’t commonly available in the UK but is in Scandinavia, and a new 2.0 TDI diesel engine for the US market, with improved fuel economy and reduced CO2 emissions.